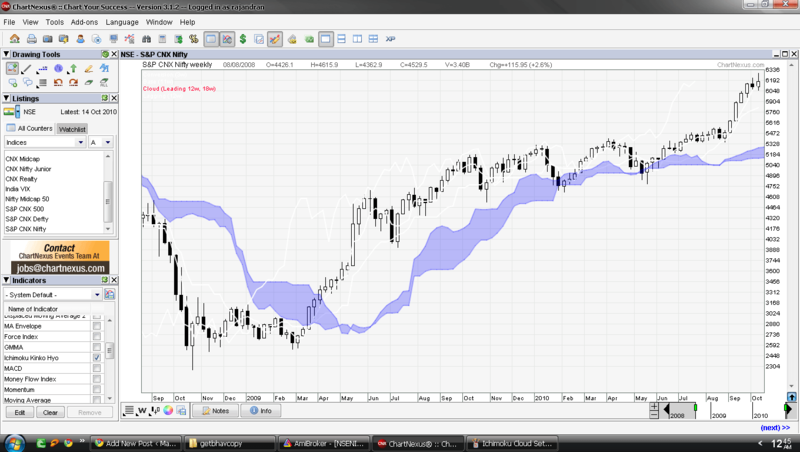 3)Select Ichimoku Kinko Hiyo indicator from the indicator list. 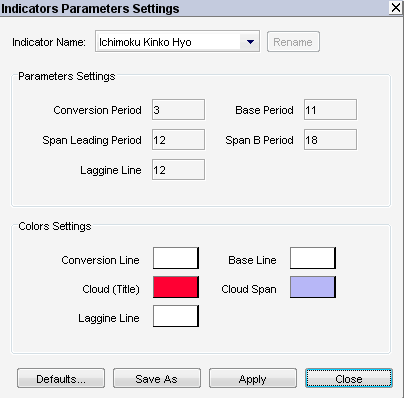 5)Set the Colour for the above parameters as shown below. thats it..
Based Optimized Ichimoku AFL code, I had set it as 3,12,12,18,12. You are trading nifty or Stocks? Nice tutorial. Could you please explain trading techniques using Ichimoku Cloud. Trading based on the cloud charts are simple. and incase of Sell Signal stop loss would be the Upper most cloud value. how set up nifty in option oracle? put it in filter tab of metastock explorer. Excellent teaching in brief and excellent settings in Chartnexus setup. Please keep it up and do keep informing of any other research you have done. how can we add real time charts in chrtnexus ,i.e 5,15,30 min ,is it possible? @Rajandra : Could we set the minutes interval (i.e. 60mins, 15mins, 5mins, 1min) for historical data? Is it possible? 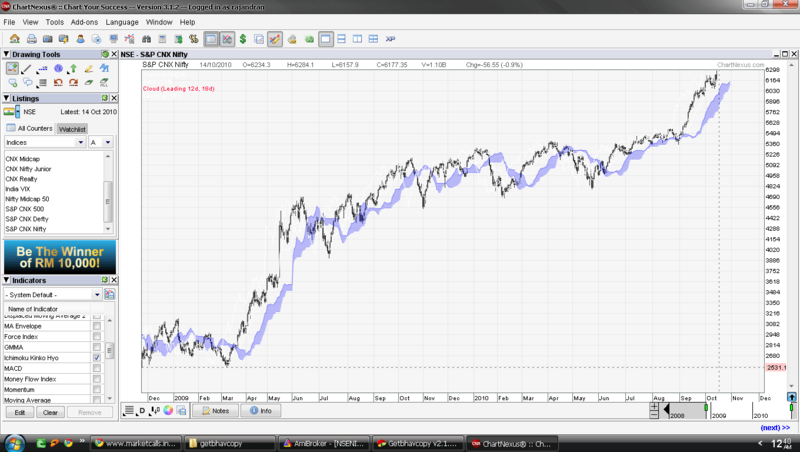 Yes it is possible if you have custom softwares like amibroker or metastock with IEOD historical data. But it is not possible in chart nexus as it provides only EOD data only. is there any other better tool other than nexus and ambibroker or metastock which is free to use? Wonderful settings and really appreciate you bro for sharing. Cheers! Thanks Prabhakar! you are welcome!